I'm Mario Horcajada, solo developer of the game Kronos. In this blog I will share my knowledge and experience of developing a 2D game with C++ and SFML. First of all, learn a programming language (C++, Java...). Then take a look at the different graphic libraries out there. 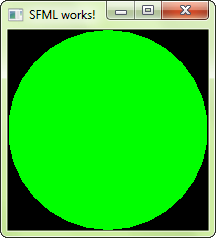 I recommend SFML, it's easy to start for begginers and has all the features you will need to make a complete 2D game. I will cover most of the big topics from "Engine Design" to "AI Scripting". SDL and Allegro are good too. The best option? Try each one and decide for yourself which one match your needs.